In addition to performing a standard visual inspection of the facility, FH&A can provide the following services and inspections as part of the overall inspection and analysis of your building. At FH&A, we understand that investment in Office, Industrial, or Multi-tenant real estate is a significant financial commitment, and that management of the risk involved is a key concern. Our commitment to our clients is to provide rigorous inspection and analysis services that identify deficiencies and reduce the risk involved in real estate investment. FH&A was formed to provide services specifically for the Office, Industrial, and Multi-tenant real estate investor. 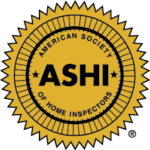 Unlike some inspection firms, which are often home inspectors with little or no experience in commercial buildings, we offer more than 20 years of commercial building operation and inspection experience. At the same time we are cost competitive, because unlike the large engineering firms, we keep staffs and overhead low by forming outsource alliances with a number of associated companies to provide technical resources only when they are needed. Not every building has structural concerns, and not every building has issues with its electrical systems. However, if it becomes apparent that there is a need for an engineering structural review, or a condition assessment for 40 year-old aluminum wiring, we can bring the resources to bear quickly, and orchestrate them smoothly, to provide a comprehensive condition evaluation of your property. When you are faced with a due diligence evaluation on real estate investment, whether it is for a building for your office, or for a thousand offices, for a multi-tenant building, or tilt-up industrial building, contact FH&A. We will tailor the inspection to fit your specific needs. From a straightforward condition review to a Phase 1 Environmental, we’ve got you covered. Call us today for a free project estimate. See why more investors use our services when risk is high and time is of the essence. We provide inspection services in the South West Ohio/Northern Kentucky region including Greater Cincinnati, Dayton, and Northern Kentucky. We also provide service throught these three states for largers commercial inspections.